Sailing on Lake Pontchartrain, in New Orleans was a lot of fun. The chop and waves were much bigger than on Pewaukee and the fleet was bigger. 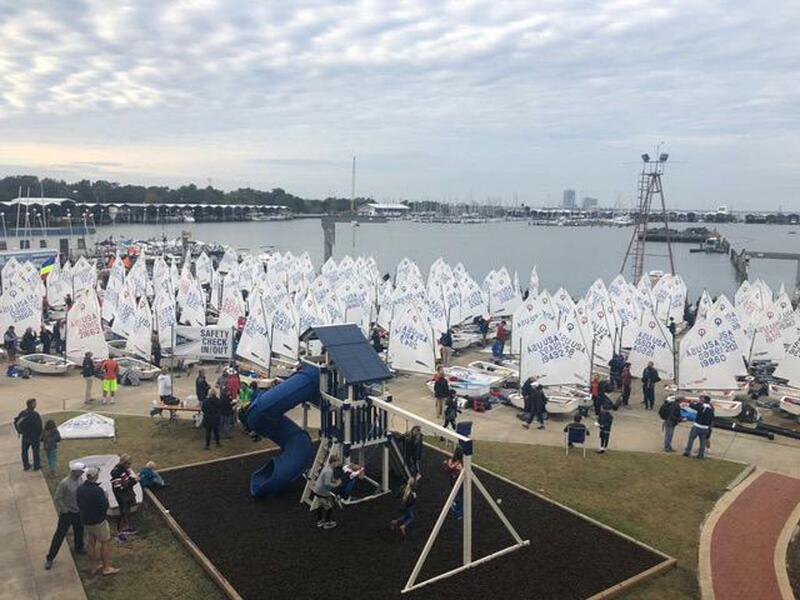 I am used to sailing in fleets of almost 250 boats from my sailing experience living in Islamorada, FL in the winters, but this fleet had 250 of the best sailors from all over the country. There were even Opti sailors from other countries. I traveled to New Orleans as part of the Buddy Melges Racing Team. We had three days of practice, a day of polishing the boat and registration with measurement, followed by three days of racing. I had some good races where I finished in the 20’s and some races where I learned a lot. I probably did over thirty starts that week with all the practice days and race days. Coach Marek was great and that kind of practice is invaluable. My favorite part of the regatta was spending time with my friends. I became better friends with everyone on the Buddy Melges Race Team. We spent our time playing football when we weren’t on the water or debriefing with Coach Marek. Coach Marek even played some football with us. I look forward to sailing in this regatta again in the future.